Brinsea was established in 1976 by an engineer with an interest in breeding birds. The interest became a passion, and the engineering knowledge channeled his enthusiasm to produce the most innovative egg incubators and brooders available. 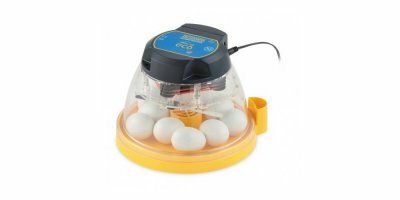 The interest became a passion, and the engineering knowledge of the control of temperature and ventilation enabled him to introduce innovative and effective egg incubators and brooders for breeders of a wide range of birds. 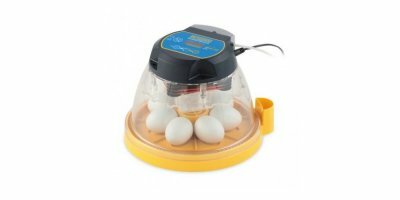 The intervening years have seen the successful application of more patents than the rest of the small incubator industry combined, culminating in the introduction of the world`s first Contact Incubator to provide the environment that eggs really hatch best in - the natural nest. We have set up a network of distributors throughout the UK and around the world. 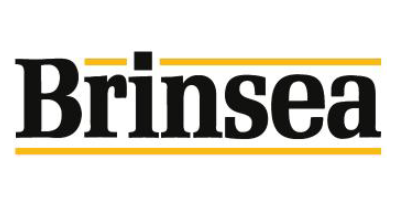 These are specialists who understand your needs, so please contact your local distributor for the full range of Brinsea products and accessories. The intervening years have seen the successful application of more patents than the rest of the small incubator industry combined, culminating in 2003 with the introduction of the world’s first Contact Incubator. A desire to understand the problem, to objectively analyze the available data and find practical solutions, has been the driving motivation. We don’t seek to re-invent the wheel but we do try to be certain that a ‘wheel’ is really what is required and that we use the right ‘wheel’ for the job, irrespective of what other people may do. We believe that even well tried ideas are capable of improvement, even our own. We always keep in mind that simplicity is key. With the advent of digital electronics there is the temptation to add whistles and bells which few people want and which often confuse. Brinsea®’s products are designed to be simple to operate and simple to service. Our products are designed to be long lasting and energy efficient. Good insulation ensures minimum power consumption, careful air flow design ensures uniform temperature within cabinets and optimum response to controls. Incubators and brooders have cabinets made of high quality moulded plastics, stainless steel or other impervious materials which are smooth and washable and withstand scrubbing. To prevent the growth of harmful bacteria, we also now incorporate Biomaster Antimicrobial Protection into our cabinets during manufacture. Our Advance series incubators and brooders feature the latest state-of-the art digital control systems, providing instant reading of temperature and humidity with inbuilt alarms. All our control systems are electronic and heavily protected from power spikes. All our fans are brushless DC computer types, which run silent and cool last many times longer than others. If a new technology comes along, we will evaluate it and adopt it as appropriate so long as it offers better quality or value for money. Brinsea® has its own in-house facilities for an unusually wide range of manufacturing procedures from electronic assembly, sheet metal working and numerous methods for moulding and forming plastics. Every step of every process is subject to quality assurance procedures independently assessed under ISO 9002. This enables us to have tighter control over quality and supply than depending on a myriad of suppliers. It also facilitates testing of new ideas and prototyping of new products, which in turn helps us respond efficiently to the requirements of our customers. Our technical department has its own state-of-the-art three dimensional computer aided design facility. Since its humble beginnings Brinsea® has developed into a highly professional team, each member of which is properly qualified for the job. However, Brinsea® is still very much a family business devoted to the production of bird breeding and veterinarian products of the finest quality and value for money, and to the best possible service to customers. The introduction of the first Contact Incubator will not allow us to rest on our laurels. Rather, it signals an acceleration of radical new product introductions over the next few years.